May a plaintiff’s lawyer who negotiates a discount with a treating physician thereafter attempt to recover the undiscounted “cost” from the defendant? No, according to a recent decision from the Louisiana Supreme Court. See Hoffman v. 21st Century N. Am. Ins. Co., No. 2014-C-2279 (La. Oct. 2, 2015) (2015 WL 5776131). In Hoffman v. 21st Century North American Insurance Company, Eddie Hoffman sued Carolyn Elzy after she rear-ended him in Baton Rouge in 2010. The trial court found the defendant to be 100% at fault and awarded the plaintiff $4,500 in general damages and $2,478 in medical expenses. 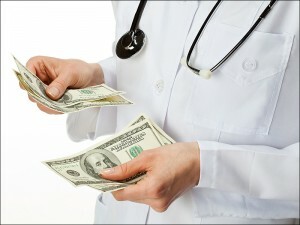 The plaintiff appealed, claiming that the award for medical expenses should have been $4,528. His lawyer had negotiated a discount of the medical bill from $3,000 to $900, and thereafter argued that under the collateral source rule his medical expenses should be calculated by using the undiscounted cost of the medical services. The Louisiana Supreme Court in Bozeman v. State, 879 So. 2d 692, 698 (La. 2004), held “[u]nder the collateral source rule, a tortfeasor may not benefit, and an injured plaintiff’s tort recovery may not be reduced, because of monies received by the plaintiff from sources independent of the tortfeasor’s procuration or contribution.” That is, a tortfeasor cannot benefit from a plaintiff whose damages are covered by an outside source like insurance. Rather, the tortfeasor is liable for the full cost of the damages he caused. In rejecting the “reasonable value of services” approach and the “actual amounts paid” approach, the court adopted a “benefit of the bargain” rationale under which a plaintiff who has paid consideration for the benefit of the discount may collect the undiscounted sum from the defendant. In Bozeman, the court concluded that Medicaid recipients are unable to collect the Medicaid write-off amounts as damages because they provide no consideration for the Medicaid benefit. [W]e adopt a bright-line rule that such attorney-negotiated discounts do not fall within the ambit of the collateral source rule because to do otherwise would invite a variety of evidentiary and ethical dilemmas for counsel. For example, an evidentiary hearing inquiring into the details of the attorney-client relationship to uncover a “diminution in patrimony” resulting from the attorney negotiated medical discount might intrude upon the privilege surrounding the employment contract and communications as to fee arrangements. See La. Code Evid. Art. 506(B)(1). Additionally, a lawyer who negotiates a discount with a medical provider and then attempts to recover the undiscounted full “cost” from the defendant might run afoul of Rule 4.1 of the Rules of Professional Conduct, entitled “Truthfulness in Statements to Others,” which provides in Subsection (a) that a lawyer in the course of representing a client shall not knowingly make a false statement of material fact to a third person. Hoffman v. 21st Century N. Am. Ins. Co., No. 2014-C-2279 *8 (La. Oct. 2, 2015) (2015 WL 5776131). Although the plaintiff’s lawyer in Hoffman did nothing unethical, the court’s opinion makes it clear that a lawyer cannot, for example, claim to have incurred $1,000 in medical expenses when, in fact, the client’s (discounted) medical expenses actually totaled $250. Thus, a plaintiff’s lawyer is prohibited from collecting a back-door discount after claiming prediscounted amounts as special damages.